La linea DC Core propone statue in Pvc di grande qualita' ad un prezzo accessibile, dando vita ad alcuni dei piu' iconici eroi dell'universo DC. DC Collectibles gets you to the core of some of DC's most beloved and/or feared characters of all time with this DC Core: Batman Statue. 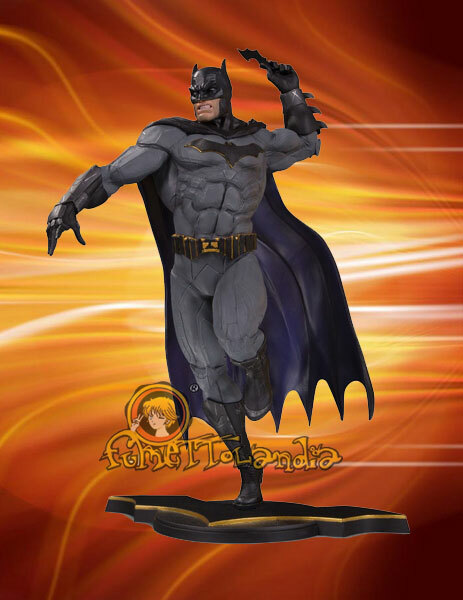 DC Core is a line of premium PVC statues that features dynamic poses atop integrated character specific bases and gives fans a way to proudly display their favorite DC characters at home, work or wherever you want showcase your fandom. Measures Approximately 26 cm Tall. Sculpted by David Pereira; Designed by Jim Fletcher.